Physical health is important. You only get one body, so take care of it! Throughout this section we hope to address a couple of different areas: Firstly, we want to look at healthy living: how to eat healthy and get exercise without overdoing it. Secondly, we want to look at issues around accessing healthcare, including current barriers to LGBTQ competent care. Also, be sure to check out our blog, where we’ll take a look at some of the latest fitness and diet trends to see whether they actually work and whether or not they’re good for your health! Making Waves is an LGBTQ swim club which offers swimming opportunities & a water polo team. They encourage participation regardless of ability. They will host the International Gay & Lesbian Aquatics Championships here in Edmonton this August. Team Edmonton provides opportunities for LGBTQ individuals and supporters to participate in fun, organized sports and recreation in a positive social framework. They offer about 30 different sports, recreational, and social opportunities. 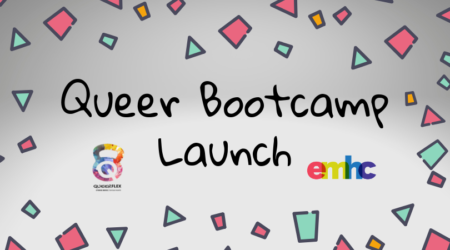 In Your Boots is as an inclusive, holistic personal fitness training business that specializes in providing skilled programming for folks who are typically intimidated to go to ‘the gym’ – queer folks, sedentary folks, older folks.